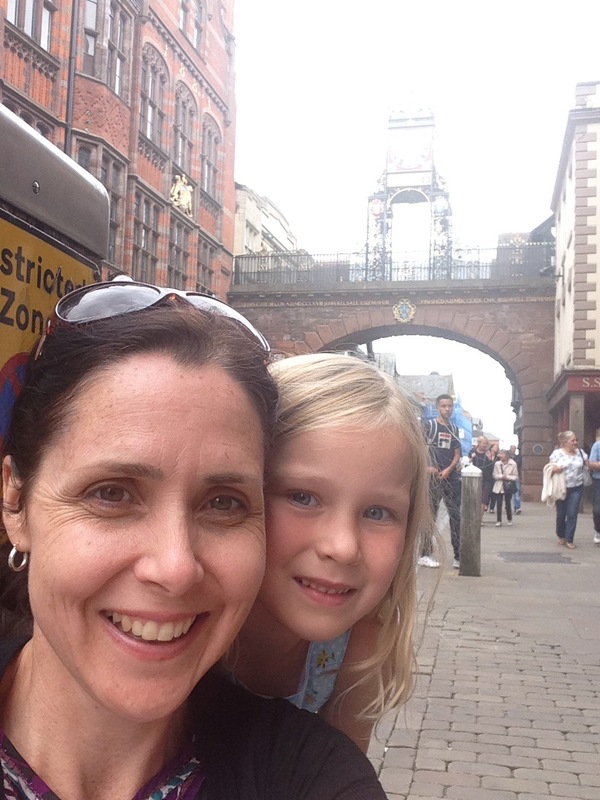 A close friend lives in Chester, UK, so I flew this week with my daughters from Amsterdam to Manchester to visit her. It’s great that Easyjet offers an affordable option. 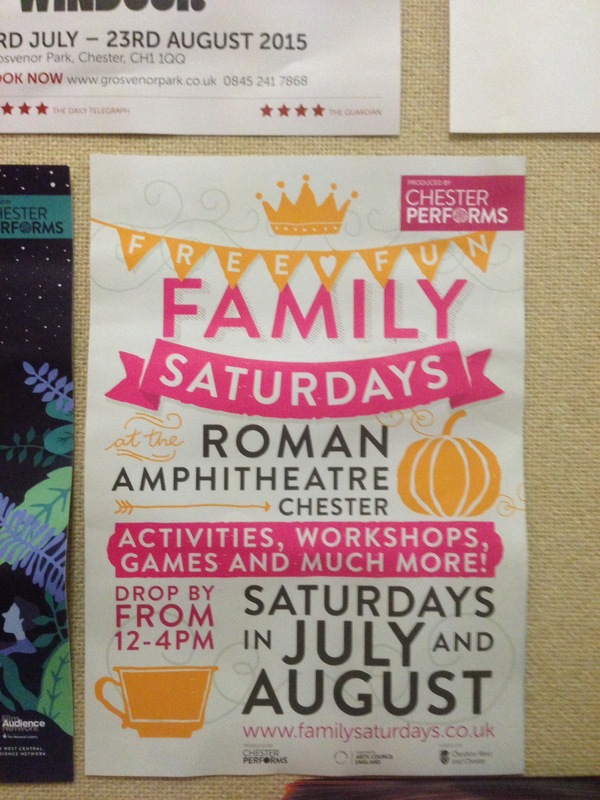 As always, I was keen to discover the culture and Chester certainly has plenty of that to share. 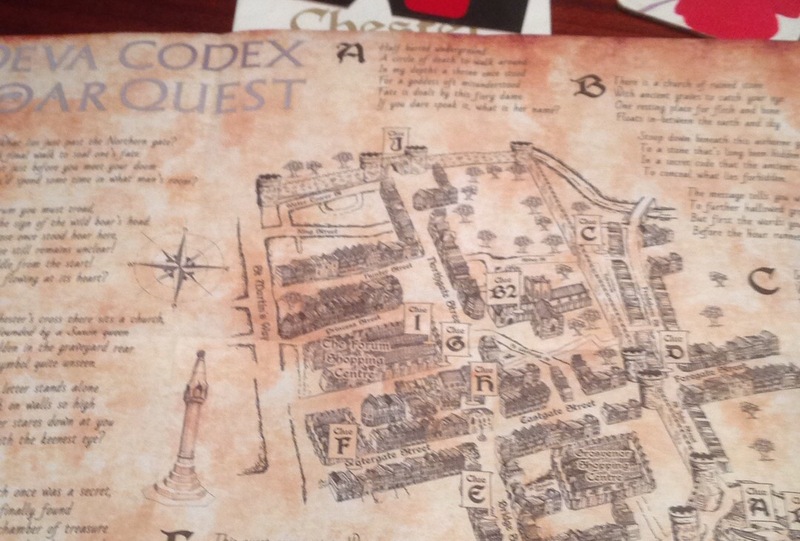 I read an article in the local newspaper about the Chester Unlocked campaign happening this summer. 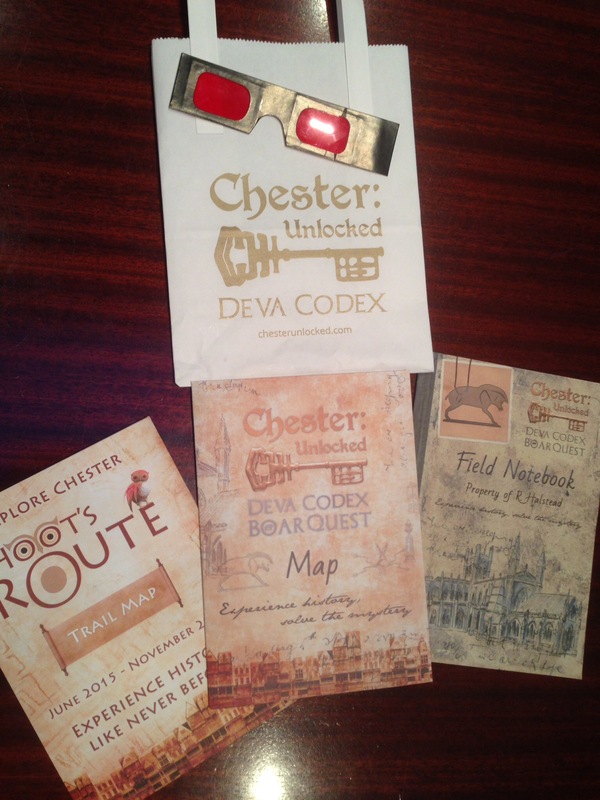 We went to the Grosvenor Museum, Chester to pick up our “Deva Codex Boar Quest” packs. My girls are aged 6 and 8 and my friend has a 9 year old son. They were excited about the packs, but then very quickly distracted by the displays in the musuem itself so we spent some time exploring there. It is a delightfully “old fashioned” musuem that reminded me of the Queensland Musuem I used to visit as a child in Australia. Many of the other museums we have visited recently, such as the Gemeente Museum in The Hague, The Netherlands are exciting and modern, with plenty of history but still give the impression of being quite “shiny and new”. 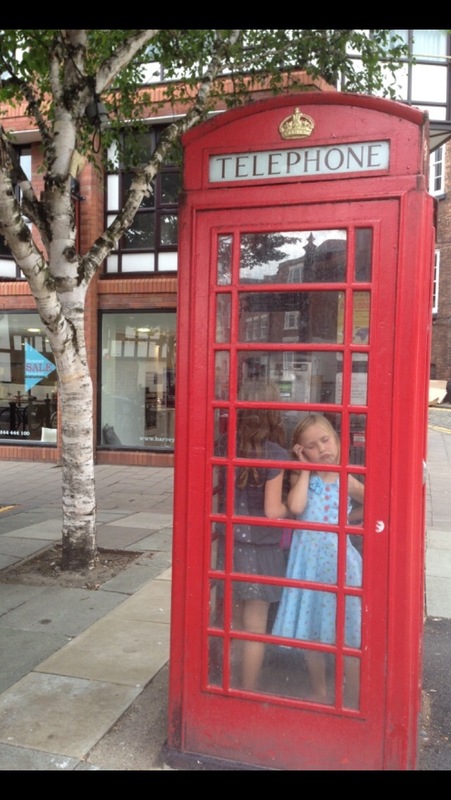 I actually loved the lack of digital engagement at Grosvenor Museum, Chester. One of the children’s favourite activities was building a Roman arch with wooden building blocks. They were also fascinated by the mini-sized model of the original Roman settlement and it was nice to link our walk past the ampithetre ruins to this later in the day. The musuem was free to enter, donations are as always gratefully accepted. Taking photos inside the musuem requires a 1 pound pass. 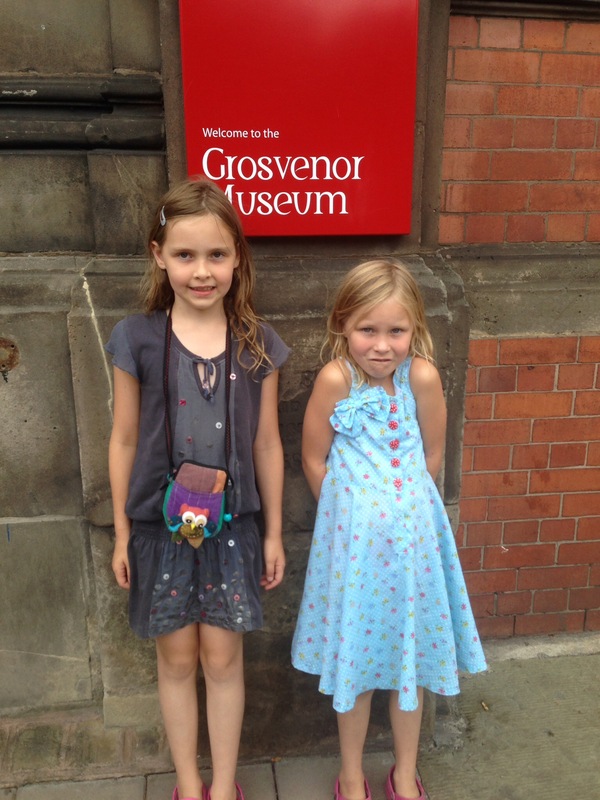 Back to the Chester Unlocked packs – our children were perhaps still a little young and didn’t show much interest in following the quest, so we simply let them explore the musuem then headed home not long afterwards as we were all tired. However now, in the evening, I’m reading through the materials and they really are beautiful! There is so much work and detail and now that I’m a little more prepared, perhaps we will resume the quest tomorrow. Either way, I’ve really enjoyed this introduction to the city. 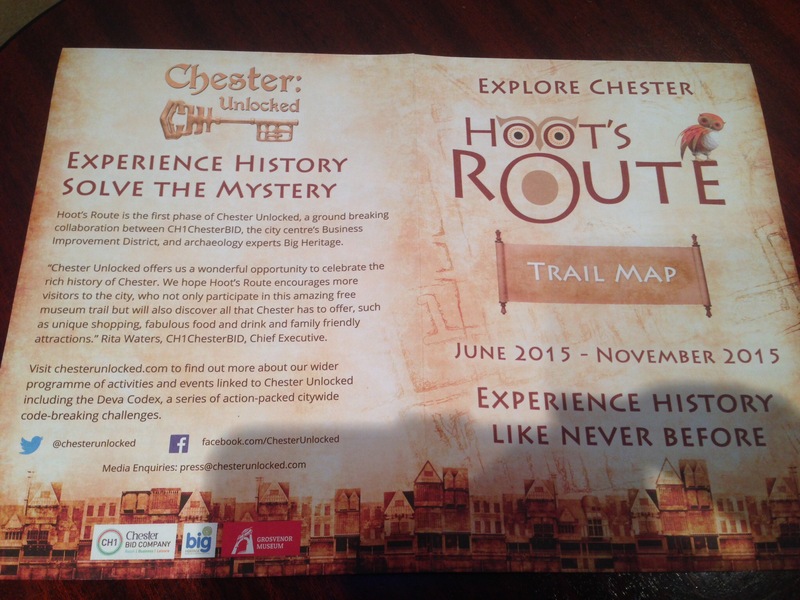 There is also another campaign active at the moment in Chester, Hoot’s Route. This is a really cool, unique idea, bringing together the history and business side of the city. 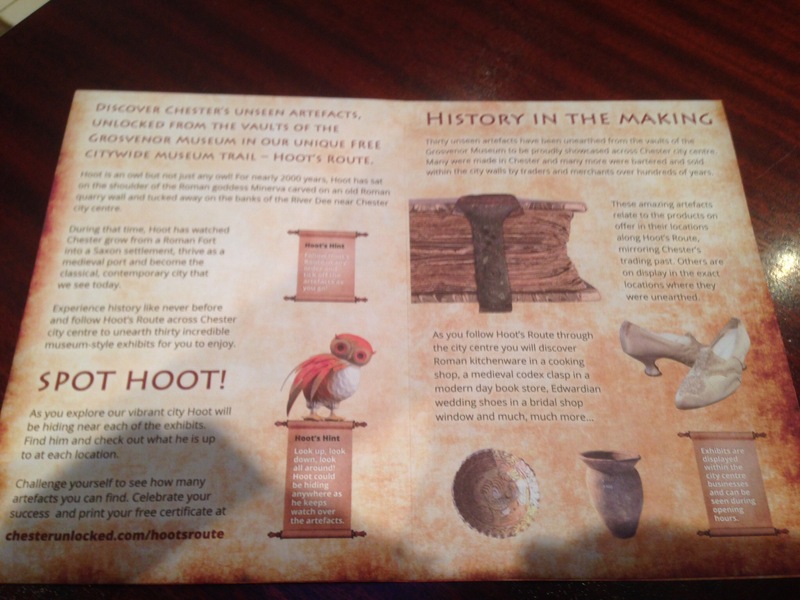 Thirty artefacts that aren’t usually displayed can be found throughout the city. 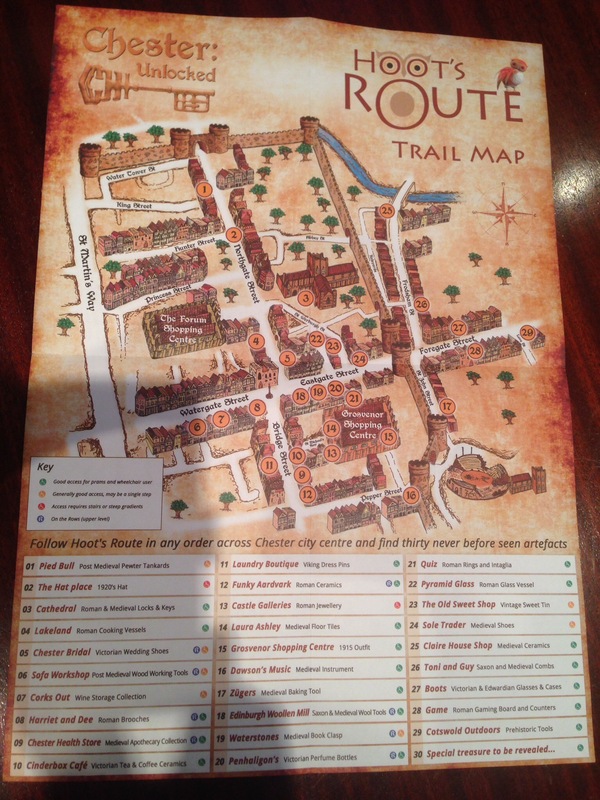 Again, with young, tired children we just couldn’t focus on following this beautiful map, but took a quick walk around the centre of Chester. Eastgate Clock is a beautifully detailed centrepiece in the city, and apparently one of the most photographed clocks in the UK. Funnily enough, it’s just a bit of a blur in this selfie I took with my daughter! !